Camden has a long history of modernism but not all of these buildings were originally in Camden. In 1965, the metropolitan boroughs of Hampstead, Holborn, and St Pancras were merged into one large London Borough of Camden. Some of the best modernist buildings were built much before this time, we have chosen three buildings from the 1930s and two from 1965 onwards when the London borough was created. 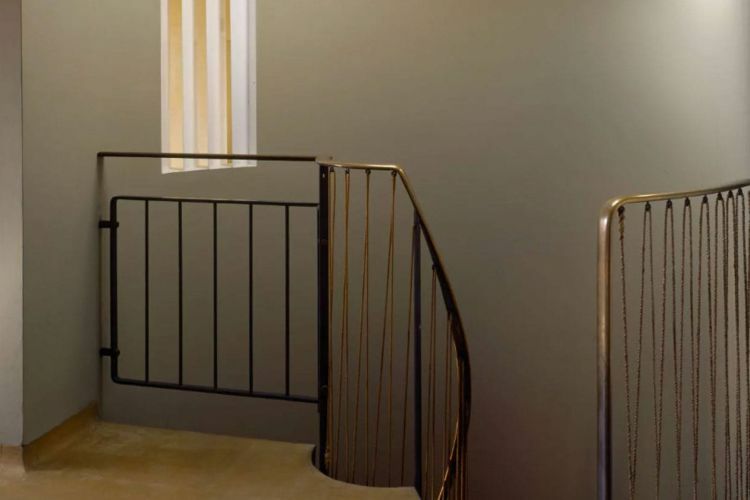 Only a few buildings reach the iconic status that the Isokon Flats have, recognisable by the curved features of the exterior, likened to a cruiseliner with three decks and glamourous modernist simplicity. The Isokon Flats, or Lawn Road Flats as they are also known, was designed by the highly-respected architect Wells Coates in 1934. In 1999 English Heritage listed the building as Grade I, placing it amongst the most architecturally-significant historical buildings in the UK. The building cost was £14,850, the equivalent of £1m in 2018. Constructed of reinforced concrete, it became a hub for progressive designers and architects. Residents included Walter Gropius, Marcel Breuer, and László Moholy-Nagy from the Bauhaus; architects Egon Riss and Arthur Korn; writer Agatha Christie and art critic Adrian Stokes. In the 1970s the building served as halfway house, an institution for people with physical, mental, and emotional disabilities, or those with criminal backgrounds, to learn skills to reintegrate into society. It is an icon of modernist design, embracing new technologies, materials and ideologies which many traditionalists felt were ugly and who fought against these ideas. Modernists felt that new construction techniques and the use of materials such as steel, concrete and glass would reduce costs and allow for mass-production benefiting a world emerging from the First World War. 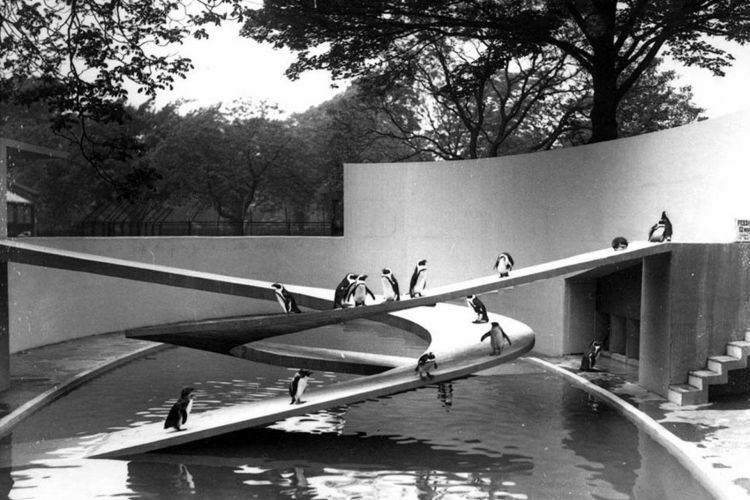 Camden has some unique and surprising examples of modernist architecture, including the 1934 Penguin Pool designed by the influential Tecton architectural firm, led by Russian emigre Berthold Lubetkin. Grade I listed, it is probably the most famous building at London Zoo and expresses a lot of the modernist ideologies in this public building. Tecton’s brand of Modernist style was unusually elegant and playful and is a reminder of how innovative the style must have looked when it first appeared. The elegant curves of the slides interweaving with each other almost dance together without even moving, and float in the air defying gravity, and most of the laws of architecture at that time. This was only made possible by the new technologies that the modernists embraced using reinforced concrete creating a simple and elegant form which is incredibly complex and ambitious. The decision to use cast concrete slabs created different problems to overcome the weight of the penguins, the bending and torsion of the concrete. 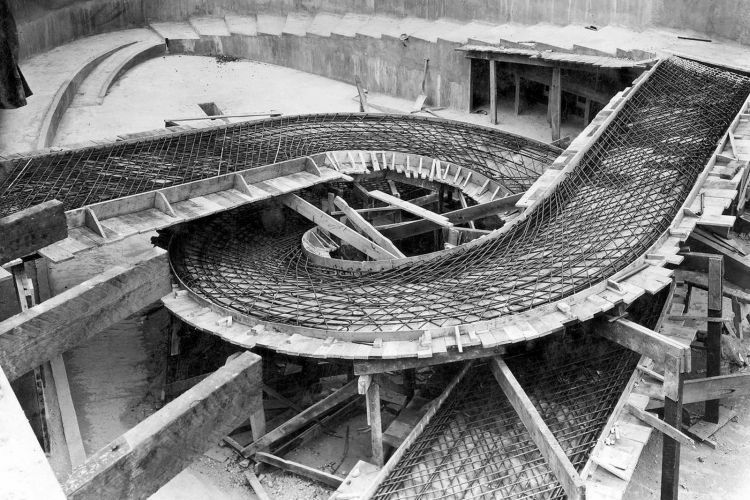 14-metre ramps needed reinforcement and using torsion reinforcement, the ramps direction was created following the tension stresses. In 1987 the pool underwent some renovation to bring back the splendour of the 1930s structure, where Lubetkin envisioned the opportunity to design a habitat for the penguins allowing them to glide, kick, swim gracefully, nest and make native calls within this simple oval building which appears in contrast to the natural home of the penguin but combines many aspects that penguins need to thrive. Unlike the first two buildings in this article, 2 Willow Road is a modern building with a far less austere envelope. The building was extremely controversial and residents nearby fought hard to stop this ever being built, including author Ian Fleming who retaliated by using the architect’s name for both the villain and title of his seventh James Bond novel. It replaced a row of small cottages and was the vision of Hungarian-born architect Ern? Goldfinger. 1–3 Willow Road was constructed using concrete and a facing of red brick but it was number 2 that the Goldfinger family would make their home, selling the other two houses to help pay for the construction. The entrance to the home begins with a simple square room leading to a spiral staircase taking you up in to the main part of the building, where the living, dining and working rooms could be found. Further up the building were the modest 3 bedrooms including one large space for their two children to play and sleep. The building is unusually supported by a concrete frame, which can be seen externally and runs up through the rooms on the higher levels, perhaps inspired by the Raumplan ideas of modernist architect Adolf Loos. Originally Goldfinger hadn’t planned to add the brick façade to the exterior of the building, leaving the concrete exposed however this extremely brutalist envelope was too much for the residents and the planning committee so a compromise was sought by softening with more traditional brick. Goldfinger had explained that many other buildings in the area had similarly controversial façades however they already exist therefore the objection to his building could not be justified. He was proved right as permission was granted and he began building his home. 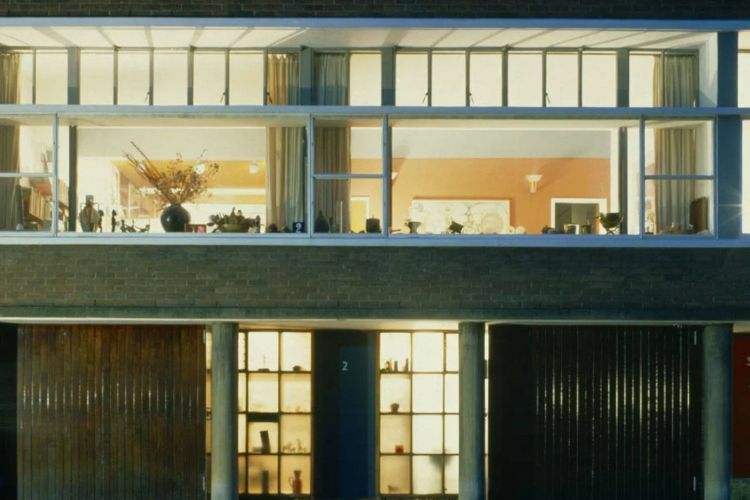 Once built, the house was a melting pot of artists, writers, left-wing politicians and Camden architects all mixing and sharing ideas in one of Hampstead’s most famous modern buildings. Ironically, when 2 Willow Road was eventually handed over to the National Trust in 1993, it was by Peter Brooke, the then Heritage Secretary and the son of Lord Brooke, the property’s most vocal opponent. Moving ahead to the 1970s we saw large low-rise high-density housing schemes being constructed with the support of the London Borough of Camden. This wave of construction was the result of a housing stock shortage and a growing need to supply more homes for council tenants. 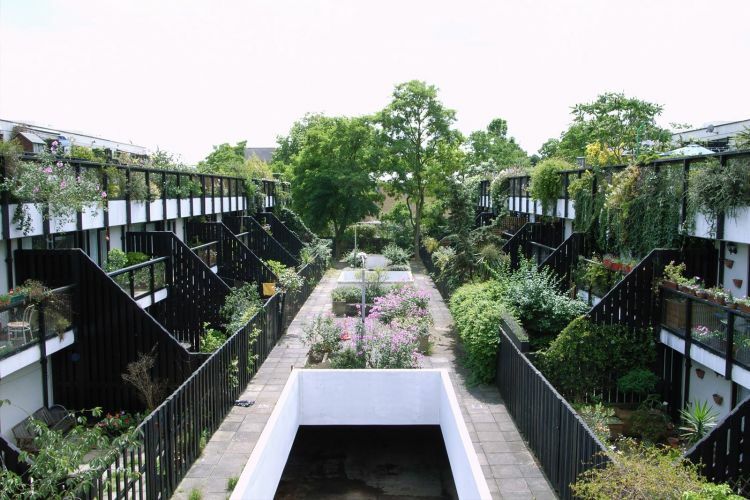 Architect Neave Brown worked with the Camden Architects Department to create the famous Dunboyne Road Estate, previously known as the Fleet Road Estate and now a Grade II listed building. Included in the scheme were 71 houses, a shop and a studio, all arranged in parallel terraced rows grouped in eight or sixteen, each house had a large terrace overlooking the communal gardens. 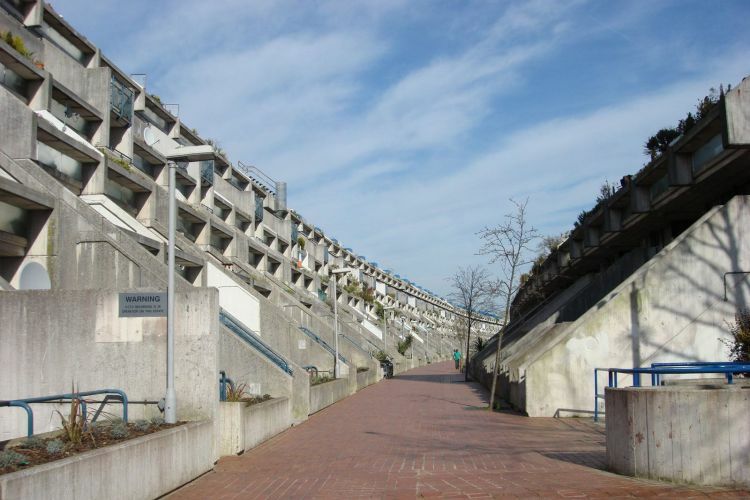 In fact, it was so successful that Neave Brown lived in the estate until his death in January 2018. The creation of the London Boroughs in 1965 gave power to each borough to build and Camden was at the forefront of this movement. Under Sidney Cook, the borough began creating large housing estates such as the Dunboyne Road Estate and the Alexandra and Ainsworth Estate. The borough created their own department to realise these projects which was not always successful and ultimately ended their run of large housing projects along with cuts from Government which halted these projects in the 1980s under Margaret Thatcher’s tenure. Neave Brown spoke to Dezeen in October 2017 having just received the RIBA Royal Gold Medal stating that the fatal fire at London’s Grenfell Tower in 2017 highlighted the problems with using high-rise buildings for social housing. “One single staircase, two slow lifts, 20-storey building, no proper control at entry, people on very low incomes, higher rents than they could afford to pay, borrowing to live in buildings that they didn’t like, decline in social patterns, increase of adolescent gangs and destruction. And we predicted all that, we knew it would happen,” said Brown. “High buildings should only be used for the very rich because they’re the only ones that can be done with proper lifts, proper services, proper control, proper entrances and the proper environment.” The architect said that sub-standard social housing is “probably England’s most massive major social problem”. Brown never considered the project as a low-income housing estate but creating “urban housing to a certain standard, which was good enough for middle-income people to be happy in – and some high-income people could be happy in them. Because it provides a flexible, open, adaptable environment to suit all sorts of different attitudes” he told Dezeen. Often referred to as simple the Alexandra Road Estate, this housing development was a continuation of the work by Brown to build large low-rise high-density housing schemes however this project was far greater than Dunboyne Road Estate. With 520 apartments this project was 630% larger in scale to the project completed just one year earlier and this site also includes a school, community centre, youth club, heating complex and parkland. 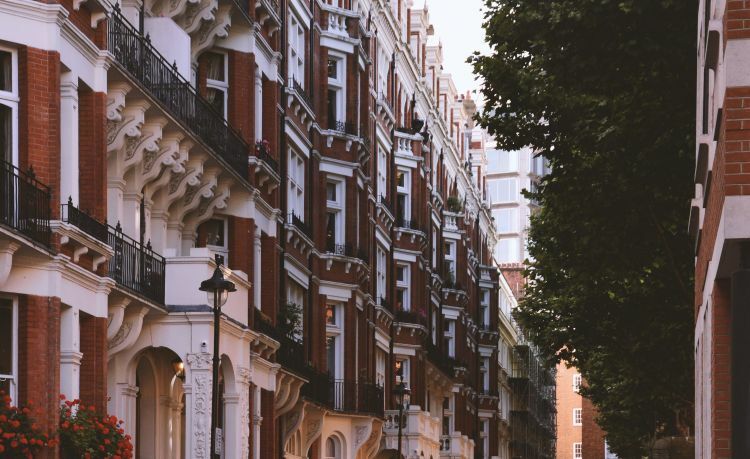 It was arguably one of the most expensive social housing projects in the UK costing a total £20.9m, the equivalent of approximately £123m in 2018. 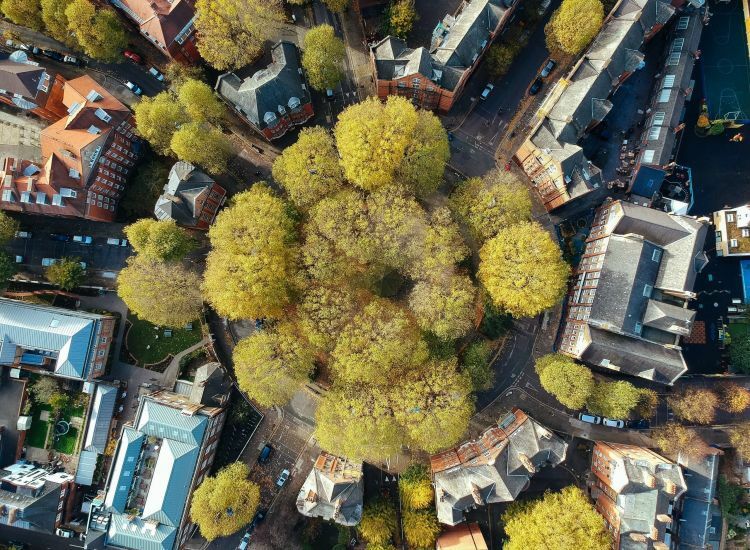 However, at 6.47-hectares (the size of 12 football pitches) this scheme created homes for over 1600 people and continues to work for its residents 40 years later. It is only when you visit the project can you really understand the vast scale of the scheme, it was described by Peter Brooke, ex-Heritage Secretary, as “one of the most distinguished groups of buildings in England since the Second World War.” Two rows of terraced apartments align along rail tracks and the eight-storey block adjacent to the train tracks was designed to emulate a ziggurat which reduces noise for the estate. The vibrations from the passing trains is reduced by rubber pads on the foundations which absorb the reverberations. 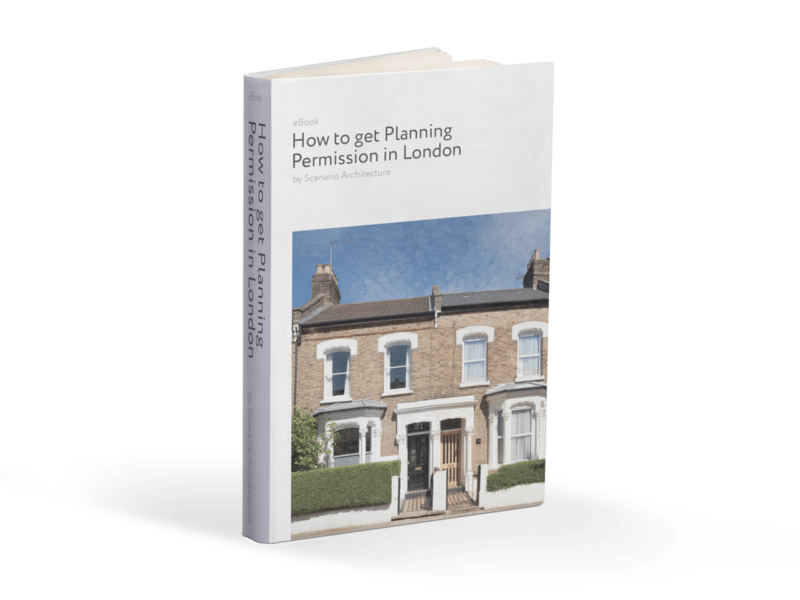 This guide is suitable for anyone requiring consent from the local council to alter a home. It reviews the ins and outs of UK planning and strategies for successfully navigating it, based on our own experience.